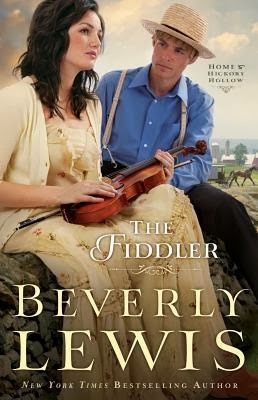 I have to say that Beverly Lewis is one of my favorite authors of Amish fiction. She has crafted a wonderful story where the characters are very believable. Their problems are such that no matter what your background you can relate to them. All of us have parents who have had dreams for their children. We don’t want to disappoint our parents. In this book Amelia’s father has a dream of her becoming a concert violinist. Amelia loves playing the violin. However, she really loves fiddling. Her father would think this is beneath her talents. The other main character is Michael. He loves his father dearly but would love to become an architect. That would mean not joining the church and entering college. Neither want to disappoint their parents. Yet, their dreams, if they followed them and their hearts would do just that. They must each face and make hard choices. There is a small romance in the story. Want to find out if either one of them follows their own path? Then I suggest you go out and get this first book in the series. You won’t be disappointed.